We've already discussed some of the religious issues involved with a woman serving as a rabbi (link). Elsewhere, we've outlined other reasons that also bar women from the rabbinate. I'd like to follow here an approach suggested by Chief Rabbi Lord Jonathan Sacks in a 1989 article ("Creativity and Innovation in Halakhah", in R. Moshe Sokol ed., Rabbinic Authority and Personal Autonomy). On pages 160-161, R. Sacks briefly discusses the following issue, that I would like to more fully develop. This will seem like a stretch to those who are not already convinced. After reading the responsa involved, however, it seems to me that it is consistent with the halakhic tradition on the subject. Regardless, as we reach the end of this discussion, we will see that it sheds important light on the role of today's community rabbi. The Rema (Yoreh De'ah 245:22) rules that a rabbi's son (and grandson) inherits his father's (and grandfather's) rabbinic position if he is capable of occupying it. In other words, when a community's rabbi dies, his son has preference over other candidates (assuming there is no prevailing custom [or presumably contract] to the contrary). However, the Magen Avraham (53:32) quotes the Maharshdam and the Rama from Fano who rule that rabbinic positions are not inherited. The Gemara (Yoma 72b) says that there were three rims in the Temple -- one of the altar which was taken by Aharon (i.e. kohanim), one of the table which was taken by David (i.e. kings), and one of the ark which is available to be taken by anyone. This is connected to the Mishnah (Avos 4:17) that there are three crowns -- Torah, priesthood and kingship. 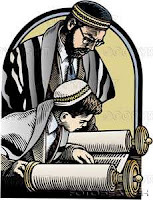 The priesthood and kingship are hereditary but Torah is available to anyone willing and capable to acquire it (cf. Mishneh Torah, Hilkhos Talmud Torah 3:1). Therefore, a Torah role is not hereditary like the monarchy or priesthood and a rabbi's son does not inherit his father's position. How, or if, to reconcile the ruling of the Rema with that of the Magen Avraham was a very relevant matter because case arose frequently in which a town preferred another candidate over its deceased rabbi's son. The Sedei Chemed (vol. 8 Ma'arekhes Chazakah Be-Mitzvos, no. 7 secs. 15-61) discusses this issue at length and quotes a number of authorities who dismissed the Magen Avraham (e.g. Responsa Beis Shlomo, Orach Chaim no. 13). The Chasam Sofer (Responsa, Orach Chaim no. 12) expounds at length in favor of the position that rabbinic positions cannot be inherited. He claims that the Magen Avraham's position is normative and the Rema was only speaking of a rabbi who rules over the population. However, in a later responsum (no. 13), he reverses his view. It is true that Torah positions cannot be inherited, however rabbis today do not function purely as Torah teachers but serve the community. Therefore, their positions are inherited. Should the rabbi lose the rights that the cantor has simply because the rabbi also teaches Torah? Significantly, the first responsum is roundly criticized in the literature. Its arguments are repeatedly refuted. In a remarkable responsum, really a booklet, R. Avraham Borenstein (Avnei Nezer, Yoreh De'ah 312 -- a responsum with 103 sections!) disputes the original position of the Chasam Sofer. Instead, he proposes that the rabbinic function today is different from when we had the original type of ordination. The rabbi's role used to be to be implement the Torah's laws, like a shofet. Nowadays, however, they lack the prerogative of ordination to do that. Instead, their role is to ensure that the community functions properly, like a king. Since the position of community rabbi is not one purely of Torah but instead of facilitating the smooth running of the community, it is inherited. R. Jonathan Sacks (p. 160) writes: "Without saying so explicitly, the Hatam Sofer has linked the congregational rabbinate to keter kehunah (crown of priesthood)." Expanding this to all three views: According to the Sedei Chemed, rabbis function within the crown of Torah. According to the Chasam Sofer, within the crown of priesthood. And according to the Avnei Nezer, within the crown of kingship. While these might seem like homiletic assignations, they are not. The crown of the rabbinate determines whether or not it is inherited. Both the Chasam Sofer and Avnei Nezer ruled in practice based on this. What is the practical ramification of these views towards women serving in the rabbinate? R. Sacks writes of the Chasam Sofer's view (p. 161): "There is an equally strong underlying logic against the inclusion of women in the keter kehunah. Why this should be so is a matter for historical conjecture, but it is certainly not because priestesses and other women religious functionaries were unknown to the pagan background against which the Torah is a sustained protest." Everyone, including women, have a portion in the crown of Torah. If the rabbinate is a function of Torah then women can, barring other issues, serve in the rabbinate. However, women have no role in the priesthood or the monarchy. In the Jewish tradition, they are excluded from both. Therefore, if the rabbinate is an aspect of the crowns of priesthood or kingship then they are barred from serving in the rabbinate. Which of these views best represents the role of the American rabbi today? Is the rabbi a communal teacher, communal servant or communal executive? I suspect that the answer is "all of the above." If so, we need to look to the Chasam Sofer's responsum, in which he wrote that since a rabbi teaches Torah but also functions as a communal servant we must treat him as a servant. Similarly, a rabbi today must have the rights and restrictions of both a communal servant and communal executive, as well as those of a Torah teacher. Effectively, this would bar women from the communal rabbinate today. In particular, though, these identifications help explain the issue of serarah (see this post: link) regarding the rabbinate. A communal executive, who operates within the rubric of kingship, is certainly in a position of communal authority even if he cannot enforce his rulings.